The BCCI had initially released a short schedule, in January that covered the fixtures of just 17 matches starting from March 23 till April 5. They had also announced dates for the knockouts but had to immediately pull out keeping in mind the elections that is going to take place in India. Now, the BCCI has just made the announced that the MA Chidambaram Stadium in Chennai will host the 2019 IPL finals on the 12th of May. They have also released the fixtures for the matches that will take place till May 5. However, the dates for the knockout phase which will most probably take place between May 7 and May 10 is yet to be officially announced. It is also said that Vizag has been kept as a standby venue in case any of these games have to be sifted. This news will definitely bring joy to all the fans out there in Chennai who will be itching to get their tickets in hand. Let’s hope that CSK makes it to the finals, in which case it will be a moment to be cherished. This page contains news relating to various facts and events. The views are generally about current affiars and general topics in diversified areas such as political, international, national, and regional issues, sports, health, travel, lifestyle, technology and business. People having similar interets on the above topics will find this page useful. 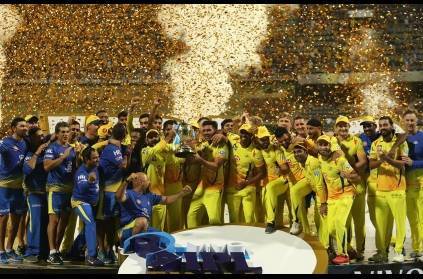 IPL 2019 final will be held at Chennai on May 12 | Sports News.